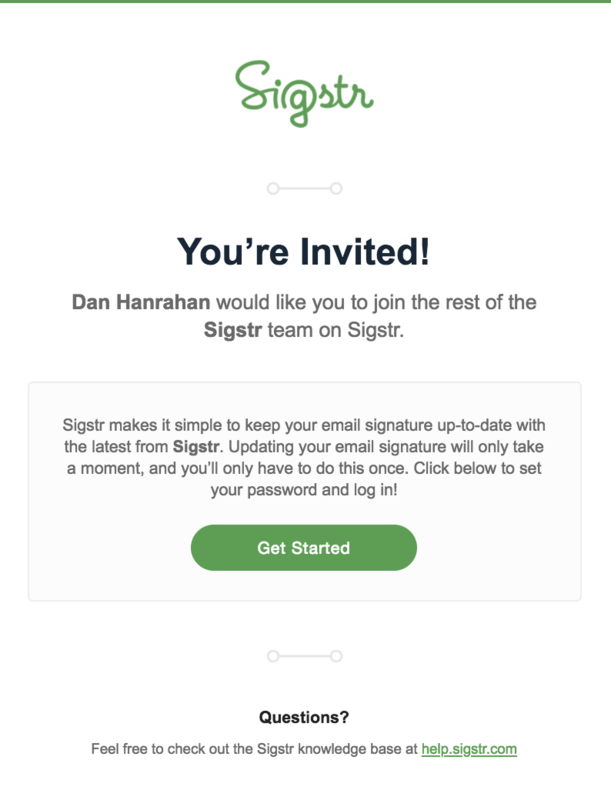 For customers with more than 50 users, we highly recommend using Sigstr's G Suite Integration to push employee signatures out automatically. If you are unable to utilize the G Suite API, however, end users can go through a one-time installation process. 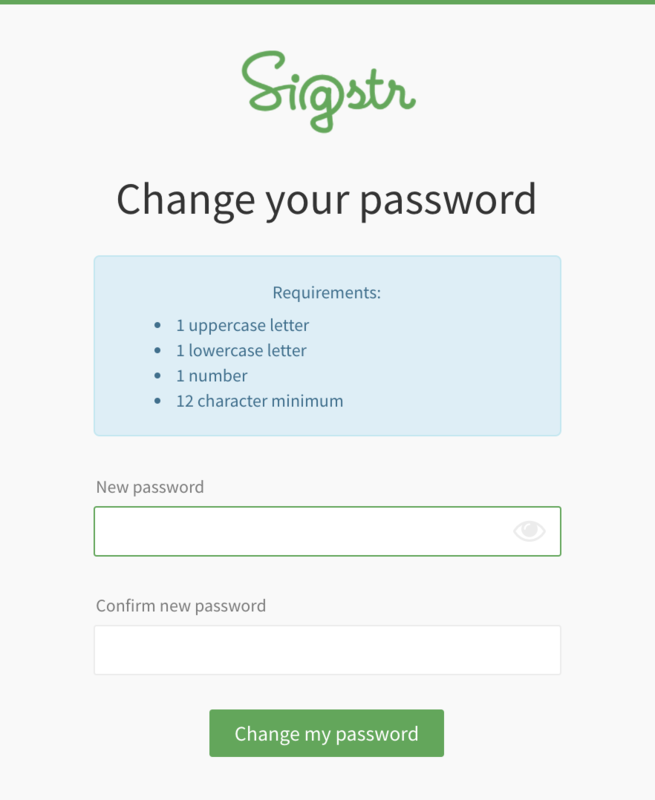 After clicking on the “Get Started” button, you will be taken to a new landing page where you will be required to change your password. Make sure to use at least 12 characters. The next page you will be taken to is the install page. 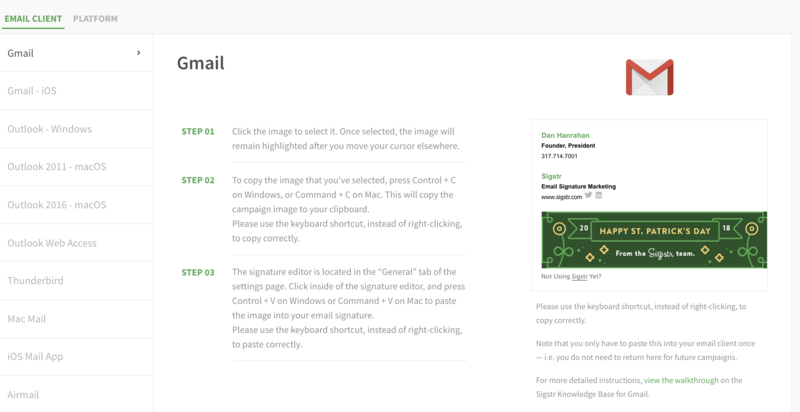 Select Gmail and follow the directions by selecting the signature image and copying it using the function Control C for Windows or Command C for Macs. The final phase of installation is coping the Sigstr coding into your Gmail settings. To do so, open your Gmail account and navigate to Settings in the right hand corner. In the general settings tab, scroll down to the signatures box and delete any signature content already there. Once you have a blank signature box, paste the Sigstr coding using the function Control V for Windows or Command V for Mac. It is important to use the keyboard shortcut, instead of right-clicking, to paste the coding correctly. 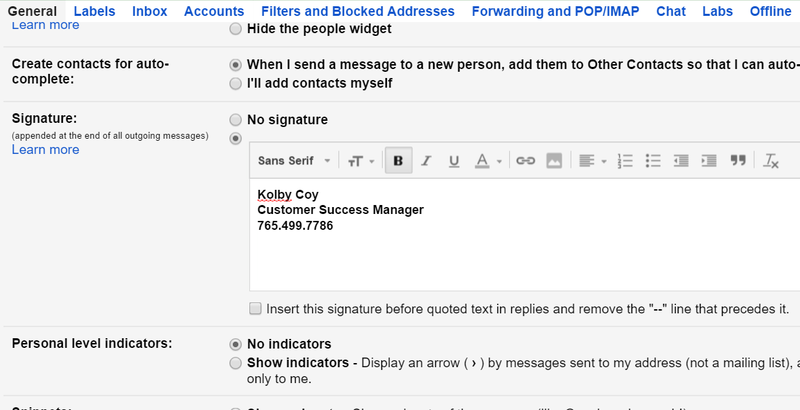 Underneath the signature box, make sure to check the box “Insert this signature before quoted text” to ensure your signature is displayed on every email. To finish out the process, choose Save Changes at the button of the page.